As the holiday season approaches, the spirit of the season affects everything we do and how we want to spend our time. Each of us celebrates in different ways, and has different customs, so why should all holiday events celebrate the same things in the same ways? Here at Global Management Services, we found three unique events to help celebrate a few of the many holidays this season. A part of the Pacific Northwest experience since 1949, the Argosy Cruise Christmas ship festival is the one thing you can’t miss if you visit Seattle during the Holidays. Enjoy this almost sixty-year tradition in three ways: The Lead Boat Experience, the Follow Boat Experience, and the Shore Experience. Enjoy two to three hours of cruising the Puget Sound on a fully-decked boat. With the lead boat, enjoy a choir on the second deck and Santa Clause reading “’Twas the night before Christmas” and a photo op with him before boarding. Fun, holiday themed activities and well as a full-service bar and snack available for purchase. The Lead Boat stops twice at the shore of one the 65 communities of the Puget Sound before returning to the dock. The Follow Boat cruiser will still get the same excitement as the Lead Boat, hearing the broadcast of the choir from the Lead Boat. If cruises aren’t something you enjoy, you can always watch the Christmas ship festival from the shore. Complete with traditional accompaniments such as bonfires, tree lightings, or festive parties, enjoy the 20-minute show from the Lead Boat with state-of-the-art speakers. This event runs every day until December 23rd. A portion of the proceeds goes to The Seattle Times for the Needy. With close to half a million lights, the Zoo lights at Point Defiance Zoo & Aquarium is sure to be a hit. Come by after the Zoo closes to see creative displays of animals, architecture, and holiday spirit in the form of multi-colored lights. Or enjoy your day at the Zoo, then stay after they close to watch the Zoo lights come up without the crowds that come in at 5 pm. Enjoy some of your favorite animals after dark while you snack on sweet treats from kiosk throughout the Zoo. Visit the Aquarium to spot sharks after feeding a goat. You can even ride a camel, or if you aren’t sure about riding a live animal, there is always the carousel. This event also works as a fun corporate event as Point Defiance offers a discount for such events with 100 people or more. For six years, Klezmer music has filled the halls for Columbia City Theater for the Hanukkah season. On the fourth day of the Festival of Lights, come join in for a great performance of Jewish folk music with a rich history of tradition and rediscovery. The music is sure to please all, and there is a Latke Cart. There is even community menorah lighting, as well as fire dancing, aerial performances, and a bit of Burlesque. This is sure to be a unique experience, and a great way to learn a little bit about the culture if you aren’t Jewish. The Winter Solstice is the shortest day and longest night of the year, but we suggest that you come a few days earlier to enjoy a Bonsai Solstice hosted by the Pacific Bonsai Museum. Be sure to bring your own flashlight as you explore the collection on bonsai trees decorating with holiday lights. There are over 150 bonsai trees at the museum, and they often rotate the trees that are on display. Not only that, the Pacific Bonsai Museum has the most diverse public collection of bonsai trees in North America. Trees from the Unites States, Canada, Japan, China, Korea, and Taiwan. A Bonsai Solstice is on December 17th at 5 pm. New Year’s Eve is a time for new beginnings and remembrance. What better way than to celebrate the end of the year than a four-course meal topped with Champagne? 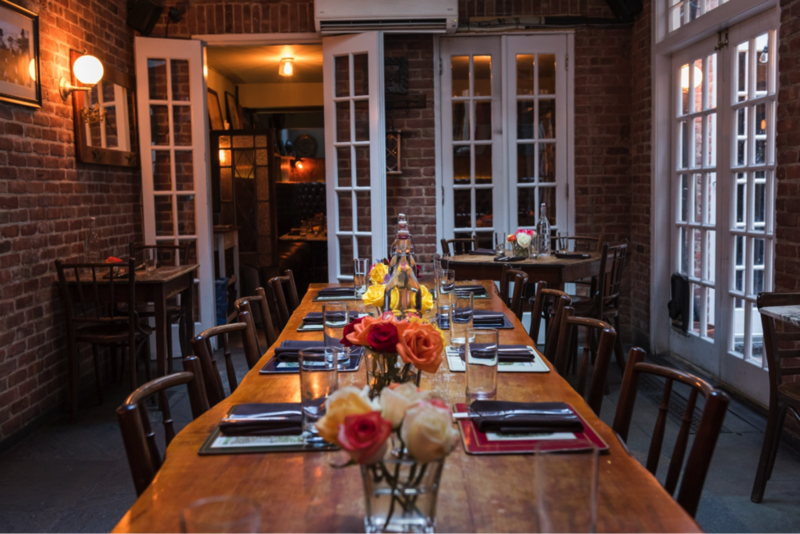 One place that can be perfect for the occasion is Goldfinch Tavern at the Four Seasons Hotel. The Goldfinch Tavern is known for its fresh and local cuisine. 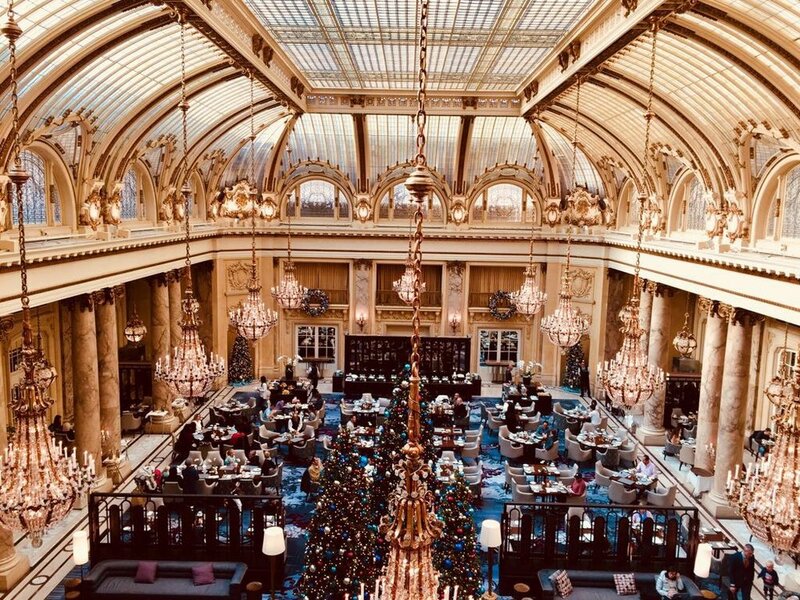 Enjoy a four-course meal at the 6 PM seating, but if you go to the 9 pm seating, there not only five courses, but also a dj and Moët & Chandon champagne toast to ring in the New Year. From broiled Oysters to Champaign Mousse, you are sure to enjoy every bite. Don’t forget your party favors! You are sure to have a fun time during the Holiday season in Seattle. These are just a few of the many things to do in the Emerald City. Whether you want to experience the American holidays in Seattle or somewhere else in the United States, Global Management Services can plan the perfect incentive trip. Contact us for your personal proposal. Whether you are going to Fort Lauderdale for several days or if it is just a stop before you head out for your cruise, you need a place to stay that is fun and relaxing. The Pelican Grand Beach Resort is the perfect place to stay—for personal or business—and with 4.5 out of 5 from close to 4,000 reviews on TripAdvisor, you would be in good hands. From the guestrooms to the meeting space to the restaurants, The Pelican is sure to be a great memory for your Florida get-away. 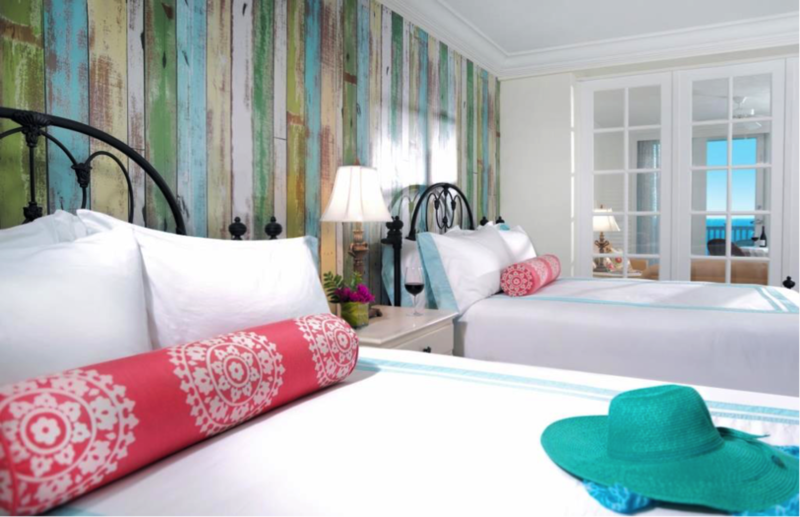 This boutique hotel has 156 rooms, ranging from ocean or city views to premier suites. 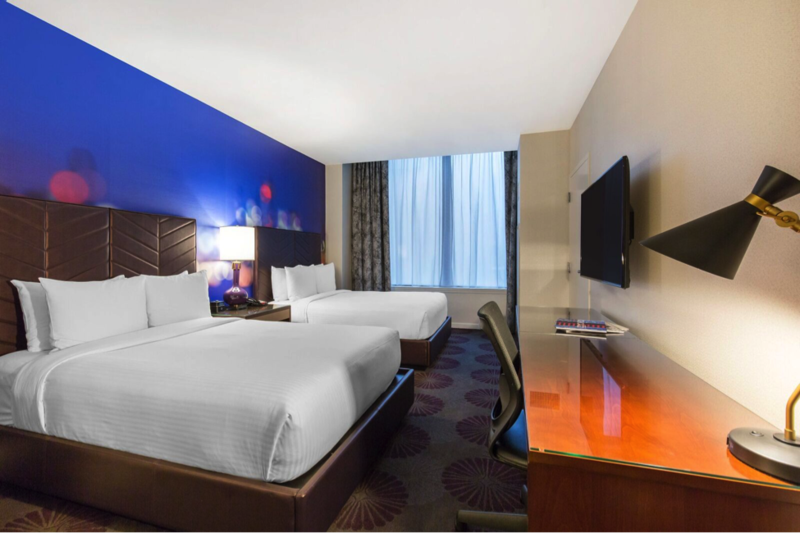 For guestrooms, enjoy a king size bed with a spectacular view. For the oceanfront queen suite, oceanfront king suite, and the premium oceanfront suite, spend your days on your private patio or balcony with gorgeous ocean views, or spend it indoors with two TV entertainment systems. Finally, there are the premier suites on the top floors of the Pelican Grand Hotel. On the 11th floor, there is the Pure Suite. With an oceanfront balcony, rain shower, large open plan living area, a wet bar, and stocked Nespresso amenities along with and soft drinks and juices, The Pure Suite is sure to a place “to decompress from the world and enjoy the wildly popular, all natural experience”. On the top floor is the Sky Suite, where your vacation starts and ends in a “perfect paradise”. Get to your 12th floor suite with a private elevator and relax in the state-of-the-art marble steam shower, or shower outside with the rooftop shower. Host an intimate party with your private dining room with a wet bar and fully-stocked Nespresso amenities, soft drinks and juices. There is a lot of outdoor space, with 1,100 square feet of balcony along with rooftop dining and living areas. Both premier suites are of eco-contemporary design and all rooms have at least an entertainment system as well as a mini fridge, a coffee maker, complimentary Wi-Fi, and voicemail. When you leave your guestroom, you can look forward to amenities such as a zero entry oceanfront pool or you can try the lazy river. For those who come to Fort Lauderdale for business, Pelican has the meeting space you need to make the trip successful. Two particular event spaces, The Atlantic Ballroom, and the Oceanview Ballroom are known for their large space and views of the ocean. The Atlantic Ballroom is only a few steps away from the beach, while the Oceanview Ballroom is on the rooftop for skyline views. Both ballrooms come with A/V set up, so no need to bring your own audio visual equipment. You can even have your meeting or event catered! The Pelican Grand Resort has a restaurant, a bar, and an ice cream shop. The Ocean2000 is a highly reviewed American restaurant with Latin influences. Enjoy ocean views and ‘toes in the sand” dining as you enjoy a large range of seafood during breakfast, lunch, dinner, or their Sunday brunch. You can even dine there to make Christmas Eve or New Year’s Eve even more special. They also have monthly events that involve dining under a moonlight sky and a Prix-Fixe menu for a very romantic night. For those that prefer a drink and a few satisfying bites, the O2k Lounge is also the perfect place to see the Atlantic Ocean. Opening at 11 am and daily happy hours from 4 pm to 7 pm, the O2k lounge is a great place to start of finish your night. For those who want more of a sweet treat, the Emporium is the perfect spot for ice cream, specialty coffee drinks, and baked goods. With a 1950s theme, it is sure to be a delight for the young and young at heart. The Emporium is also a good place to pick up souvenirs for friends and family. If you truly want to relax, then go to the 11th floor to Pure Spa, a Scandinavian retreat in South Florida. Get a relaxing massage, a soothing facial, or a classic French manicure. Pure Spa has packages that can accommodate couples, men, bridal parties, and even pregnant women. Anyone and everyone is free to use their services as they might have a package to fit your wants and needs. They can even come to your hotel room, and even have a small selection of food and drinks. Nothing is more relaxing than getting a deep tissue massage or sipping on a martini or eating smoked salmon while getting a pedicure. Every sense is getting the luxury treatment, no sense is left unpampered! The Pelican Grand Beach Resort and Spa is a great hotel in a great location. Whether you are here for an incentive trip or a yearly convention, Fort Lauderdale has many activities and events to enhance your stay in South Florida. One popular destination in Fort Lauderdale is Las Olas, “the waves” in Spanish, Las Olas Boulevard is close by the beach and fits all of your entertainment needs. Want to shop at luxury stores? Las Olas has it. Want to eat at classy restaurants? Los Olas has it? Want to see and explore cultural center. Los Olas has that and more. After learning all about The Pelican Grand Beach Resort, it would surprise us if you weren’t packing your bags to go there now. But planning a trip like this can be complicated. GMS simplifies that so all you have to do is enjoy your incentive trip. Contact us today for a proposal. We were recently invited to the Cambria Hotel & Suites Magnificent Mile Chicago to check out the remodeling of the hotel as well as 52Eighty, the tallest rooftop bar in Chicago. As we enjoyed a glass of red wine or two, Lauren Sheets, the Catering Sales Manager, gave us a tour of the new renovated space. We want to share what we learned about this Magnificent Mile Hotel. We were first shown some of the 3,000 square feet meeting space. Our first stop was 52Eighty, the rooftop bar and lounge. The patio and the lounge could hold up to 110 people for a reception style event. The views that came with the bar and lounge were spectacular, and if you step out on the patio, you could even see a bit of the John Handcock building. The patio is open all year long. That might sound scary during the Chicago winter, but on that chilly November night, we were comfortable. We also got a taste of what the in-house catering can serve. With a bar that offered red wine, white wine and beer for the event, there were also artisan flatbeds with lamb, chorizo, or mozzarella. Waiters came around with prosciutto wrapped asparagus with cheese, truffle tater tots, and shrimp scallop skewers. If I had to pick my favorite, it would definitely be the lamb. As we thought that the food couldn’t get better, there was dessert. There was cheesecake and caramel apple pie, along with a hot chocolate bar with all sorts of sweet toppings, alcoholic add-ins, and sweet syrups to make any kind of drink you want. It was a sweet way to end the night. We also got to look around the Superiorer and Michigan meeting rooms. Both spaces provide light and a view of Chicago’s busy downtown on the second level. The Superiorer provides more space, with 1,900 square feet of space that can fit 200 people for a reception setting. If you don’t have an event of that size, you can easily split the room into three rooms known as Superior I, Superior II, and Superior III. Both Superior I and Superior II are 650 square feet and can have up to 60 people for a reception. Superior III is 600 square feet and can hold up to 50 people for a reception. You can even combine two of the three rooms, with Superior I and Superior II making up 1,300 square feet and holding up to 130 people for a reception, while Superior II and Superior III make up 1,250 square feet and hold up to 120 people for a reception. For smaller events and gatherings, there is also the Michigan room that has 840 square feet. It can hold 74 people for a reception and it can be split into two rooms, the Michigan I and the Michigan II. Michigan I has 390 square feet and can hold up to 32 people for a reception, while Michigan II has 450 square feet and can hold up to 40 people for a reception. It’s perfect for small gatherings. Cambia makes it easier to host events or meetings by having in-house AV equipment. That’s one less thing to stress over when planning your conference or reception. You can even use the foyer as a means to extend space for a reception. So whatever the reason, reception for a wedding, a two-day conference for work, or a 10-day incentive welcome dinner, hosting an event at the Cambria will surely be a good choice. Lauren also took us to see two different guestrooms in the hotel. Each of the renovated 216 rooms comes with high speed Wi-Fi, a custom designed bed, coffee maker, safe, hair dryer, iron, ironing board. A 55” inch TV that comes with Netflix, an executive desk with an ergonomic chair, and large windows for exceptional views of the city. The first was a standard room with enough space to sleep two people. Even the standard room was quite oversized and there was plenty of space to relax. Then we were taken to a King suite which sleeps four. When you first enter the suite, you see the desk on the upper level. Both rooms, as well as other guestrooms in the hotel, contained artwork from a Chicago-based nonprofit called Project Onward, an organization for professional artists that have mental and/or developmental disabilities. As much as we love the sleek modern redesign of the rooms, the eclectic artwork really makes the Cambria unique. So many hotels have the mod looking going for them, but this artwork keeps the rooms from feeling cold. Not to mention that this art work helps those with disabilities make a living. Even if you were to get sick of your room, the Cambria is in the perfect location. Right by the Magnificent Mile, let Chicago be your playground as you eat, shop, and party in the Second City. If you would rather stay in, there are still things to do. You can visit the Barista+Bar for a bite to eat or a craft beer, or even visit the fitness center for those who are health conscious. Of course, you can always visit 52Eighty for a drink and a bite to eat, with happy hour starting at five pm and ending at seven pm every day. To hold your next event at Cambria, let Global Management Services make all the arrangements for perfect meeting or incentive program. Where are you celebrating Thanksgiving? Thanksgiving is one of the biggest holidays of the year in the US. People travel all over the country to join family and friends for a home cooked banquet and cheers. Maybe you aren’t interested in cooking enough to feed an army, or perhaps you don’t have any plans for Thanksgiving. That doesn’t mean that you have to spend Thanksgiving alone and hungry. There are so many restaurants all over the US that offer holiday meals to celebrate this special day. Sometimes they have specials that last all month long. Here are a few spots that we found in some of America’s biggest cities. On the Upper East Side, you can find the English pub Jones Wood Foundry. Run by owner and Chef Jason Hicks and operations partner Yves Jadot, Jones Wood Foundry is meant to be a place where everyone can call their own. Its namesake comes from the fact that this area used to be a forest that burned down toward the end of the 19th century. Serving comfort British food and showing English Premiere League Games, Jones Woods Foundry is sure to be a hit even when it isn’t Thanksgiving. On Thanksgiving Day, Jones Wood Foundry is serving a traditional prix-fixe dinner. From 11 am to 8 pm, enjoy butternut squash ravioli with a traditional Thanksgiving dinner that comes with pumpkin pie as dessert. Jason Hicks recommends trying the Chestnut apple and sage stuffing and the roasted brussel sprouts if you decide to spend the day at his restaurant. If you were to look up what “Aldea” means in Portuguese, it would translate to “village”. Since 2009, Chef George Mendes has tried to make his restaurant seem quaint yet sophisticated as he serves dishes inspired by the Iberian Peninsula. Mendes has always had a passion for cooking, and what better way than to cook meals based on what his Portuguese family made. And the passion shows, since Aldea has been the talk of magazines and has won many awards, including a Michelin star. This Thanksgiving, enjoy a 3-course prix-fixe traditional Thanksgiving dinner with a Portuguese twist. Enjoy autumn acorn soup with Concord grape and pumpkin seed to walnut cake and honey. For good American food right on the Chicago River, River Roast specializes in meat, fish and veggies roasted to perfection. Chef Tony Mantuano goes in a different direction after having been responsible for the success of the famed Italian restaurant Spiaggia. River Roast also has quite the selection of Midwestern beer, as well as live musical performances during brunch. For Thanksgiving, there will be four carved roasts, a selection of salads and sides as well as a variety of desserts. So dig into a roasted turkey or maybe just eat your weight in pumpkin pie, the River Roast is sure to satisfy. Go to the John Hancock Center and get on an elevator to the 95th floor. There, you will find the Signature Room. Started in 1993 by a hospitality management company, it has been a part of the Chicago restaurant scene for over 20 years. Being considered one of “America’s Top Tables” by Gourmet Magazine readers since 1997, The Signature Room is always known for its high-quality by tourists and locals alike. Here you can bring the whole family for a spectacular view of the city as they dine. Enjoy live music as you are greeted with Champagne and a seafood bar. Choose an entree that includes classics like roasted turkey or be adventurous and try lamb chops, with a dessert buffet to fill you to the brim. All these places sound really good to check out if Thanksgiving dinner isn’t happening at home or if no one had plans to cook. But regardless of where you are or what you eat, GMS wants to wish you a Happy Thanksgiving. We hope that this holiday season is bright and peaceful. As the days get shorter and the nights get colder, fall is making it known that it is here. Some places don’t have a full range of seasons, or if they do, it’s not crisp fall days with multicolored leaves, but just drab grey everywhere. But in Boston, Massachusetts, fall is the perfect time of year to visit. GMS points out all the fun things you can do to get in the autumn spirit while traveling in Boston. Nothing says fall like Halloween and the scary stuff it entails. At the Peabody Museum, they display sci-fi and horror posters from the collection of Metallica guitarist, Kirk Hammett. This exhibit will be available to the public until November 27th. So if you want to look at mid-century artwork that helped inspire one of the most famous metal bands, this place wouldn’t be too bad to visit. If you want something that’s a little more bump in the night, consider going to a ghost tour from Ghost & Gravestones. Hear real stories about the History of Boston, close to 400 years’ worth. Right now, they have tours seven days a week until mid-November. If you are the type that is always ready for a good scare and a good history lesson, you can come back early March of next year to get a good fright. If you are not into horror so much, there are still many traditional fall things to do in Boston. The Charles Riverboat Company invites you to take a 90-minute cruise to enjoy the fall foliage along the Charles River. Pass by the best colleges as you enjoy fall treats like apple cider and take in the best that fall has to offer. Fall in Boston is sure way to guarantee a great time. At GMS, we guarantee event excellence anywhere you want to travel, Boston included. Our account managers, Ann-Kathrin and Adeline just completed running a fantastic event that took place in not just one cool city, but two! Being on-site managers for a financial services company, they made sure that our VIP client guests enjoyed themselves. Someone even got engaged on this program! That much fun! Here we want to share the highlights of what GMS did in New York City and Miami, and why Ann-Kathrin and Adeline love these cities so much. The city that never sleeps was a great place to start the incentive trip. Our client got to enjoy exploring Central Park, learning about the heroic acts of men and women at Ground Zero, and go see The Lion King on Broadway. Oh, and did we mentioned the food? This dinner was a part of a Gala and award ceremony where the client celebrated and gave awards to their key people who worked hard in their company. Did we mention the dinner came with a limo to give it a real VIP experience, and there was a little dance party at the end of the fun-filled day. Having a little fun in the sun, Miami was the second part of this fun trip. We not only went to the great Miami beaches, but we also took out the client to Everglades National park, where there are over 1.5 million acres of wetlands full of diverse wildlife. Not only did the group get to explore some of Florida’s wetlands, but they got to experience Latin culture with food that tasted like it came directly from Havana to watching dances from South American and the Caribbean. It was something that our clients and our on-site account managers won’t forget anytime soon. If you work in the meetings, events, or incentive travel industry, IMEX is the place to be. Not only is it the place where clients, businesses, and suppliers can meet up and establish professional relationships—or renew the exiting ones, IMEX is also a place for education. Every year, thought leaders talk about the present and the future of the industry. If you didn’t get to go to IMEX America this year, you really missed a lot. Over 12,000 people were there for the incredible opportunities. People fly in from all over the world just for this tradeshow! The next time you could go to IMEX America would be on October 16th to the 18th of 2018. While this is an experience that you should partake in yourself, GMS has you covered. Here are some of the many things we did. Took this year’s theme to heart: This year’s theme was “Purposeful Meetings.” What does that mean for your business? A meeting with purpose pushes out all of the unnecessary and distracting issues, letting one be able to mindfully absorb the information given. This could be done in the “white spaces” provided in the Sand Expo and Conventions Center. You could also use this space to disconnect from everything going on. Having time to think and relax is taking precedence, as it has been said that activity is not necessarily productivity. On October 1st, another tragedy struck America. Fifty-eight people were killed and over 500 people were injured in one of the deadliest mass shootings. What happened next is what really shows what makes up the heart of the city. Las Vegas persevered. The country persevered. People are sending cards to Las Vegas’ city hall. People are donating money to victims and their families. The amount of support coming from IMEX and the rest of the country is astounding. It’s hopeful; it’s a shimmering star in a dark world. We are proud to be part of reminding the country and the world that we are #VegasStrong. Learning more about the industry and what we can provide for our clients. Two of our account managers got the chance to be present at IMEX this year. They learned about all sort of services that could be an interest to our clients and networked with fellow professionals. Being able to interact with thousands of like-minded people and forge new relationships was pretty exciting. Not only that, we even got to experience the Las Vegas nightlife as they took a fun food tour. For two and a half hours, we were smacking our lips with lipsmackingfoodie tours. IMEX 2017 was a blast. It was a wonderful opportunity and we hope to see our valued clients next year at IMEX America 2018. GMS will also be represented at IMEX in Frankfurt in May 2018. Now that fall is here, many of us are looking forward to the leaves changing color, the pumpkin-spiced product of the day, and those chunky sweaters that haven’t been worn since last fall. Despite the hype for autumn, there are quite a few people who do not look forward to the end of summer. As the temperatures drop, many just want to hibernate until spring comes around. GMS can’t spring forward time, but we can recommend things to do in the Windy City that are indoors and away from the cold. Operating since 2009, Chicago Pizza Tours has been packing the punch in flavor as they guide their tours via bus. 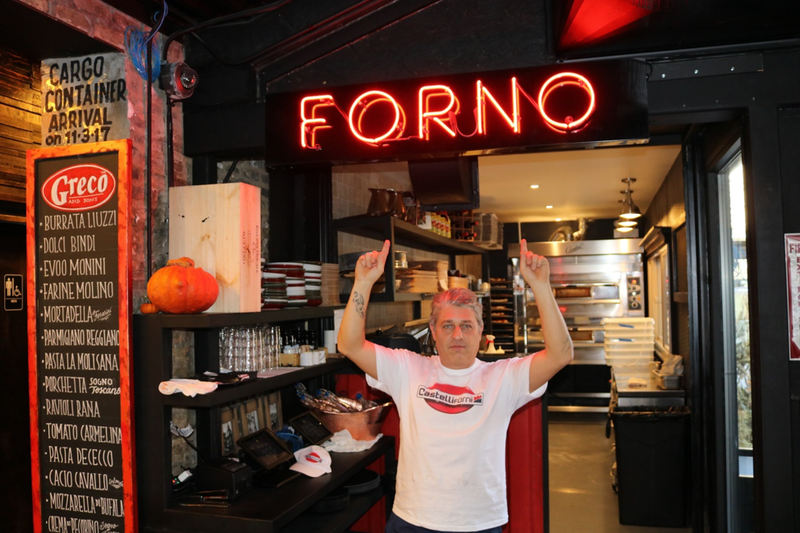 Enjoy authentic, Chicago style pizza, as well as four other distinct styles, throughout several Chicago neighborhoods. Not only do you get to enjoy pizza for the next three hours, but you also learn about the science behind making the perfect pie. “Remember the Past, Transform the Future.” This is what the Illinois Holocaust Museum and Education Center stands for as the local Holocaust survivor community put over 30 years of work into the building that stands today. This particular exhibit that we are highlighting is “Besa: A Code of Honor.” This exhibit focuses on the American photographer, Norman Gershman, and his work on Muslim Albanians who helped save Jews during the Holocaust. This somber learning experience is recurring daily until March of 2018. 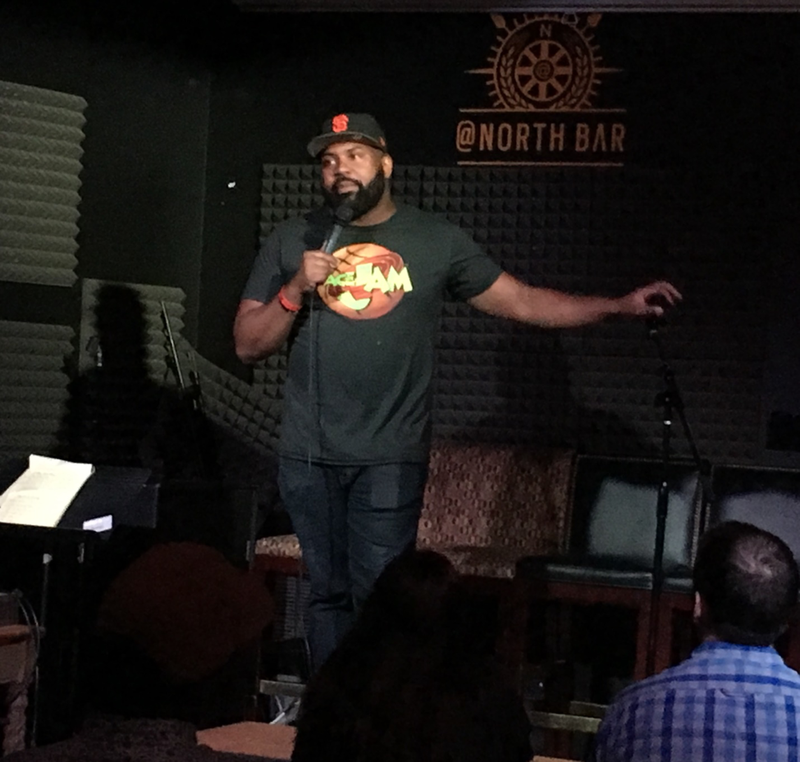 For those who have a funny bone, At North Bar hosts an open mic called “Smart Mouth Comedy Open Mic.” Once a week, 20 people can sign up on Facebook to tell their best jokes for 20 minutes. In order to get more on-stage time, comedians must correctly answer trivia questions. If the spotlight is a little too hot, you could always choose to be a member of the audience and take a seat at 7 pm. Not only can Global Management Services schedule fun, warm events, but we can do it without you having to worry about the little details. If you are looking for a fun outing for your corporate event, then you are at the right place! At the end of the work week, many of us come home wanting a drink a little stronger than coffee made in the office kitchen. Whether it is to celebrate the start of the weekend, or to forget about work for the day, a good drink cannot only be relaxing, but enticing to the senses. The only thing better than a good drink is a good drink you don’t have to pour yourself! This weekend, three awesome cities are having events and tastings, so there is no need to crack one open or pop a cork at home. GMS recommends these events to go to after work. On 40 East Erie Street this coming Friday and Saturday, The Dreihaus Museum is hosting “A Toast to The Glided Age: Crafting Cognac” where guests can experience not only Cognac-based cocktails, but also learn about the popularity of cocktails in the United States during the late 19th century. For this two-hour event, sip on a nice cocktail and learn about distilling and the origins of this French drink, all the while sampling hors d’oeuvres and listening to music. Just outside of Boston, experience the first distillery in Everett, Massachusetts, since the prohibition. Short Path Distillery focuses on local and organic ingredients whenever possible to make their high-quality spirits. Tastings in their 4,000 square feet facility happen on Thursdays and Fridays from 5pm to 11pm, Saturdays from 12pm to 11pm, and Sundays 1pm to 6pm. In order to taste a sampling of their spirits, you pay absolutely nothing. Tours of the distillery are also available Thursdays to Sundays. For those who not only want to start the weekend a little early but also monkey around, Woodland park zoo is hosting “Brew at the Zoo” this Thursday, where you can try several different types of beer as well as experience animal encounters. Tickets start at 32 dollars, but VIPs also get a complementary glass as well as a complementary buffet. This fundraiser would benefit The Woodland Park Zoo and to help take care of the cute animals that you see during the event. All of these events are really great, but we can help you find events even more fun things to do while you have your incentive trip in these three cities. Contact Global Management Services to get started on one the greatest incentive trips you would ever have, where we believe that you should experience event excellence. Retaining talented employees is becoming increasingly difficult—more so with millennials. With over half of job separations for new hires being voluntary in 2016, it’s becoming increasingly vital for companies to build employee loyalty in non-traditional ways. A recent survey found that most employees between 20-40 years of age are in favor of tangible non-monetary rewards. This means incentives that make employees’ work day better, or have lasting effect on them—especially those that they can share with friends and family—are likely to result in lifelong employee loyalty. In all cases, the incentives must be viewed as valuable by the employees rather than those conceived by management in isolation. Here are a few non-monetary incentives for employee recognition a company can offer to reward engaged employees [or loyal clients for that matter] and grow a stronger team. It might seem old fashioned, but peer-to-peer recognition at your office through a “Wall of Fame” motivates employees and rewards talent based on day-to-day successes managers might not always see. These peer-to-peer recognition programs like this can even be made social through free software applications now available [like Globoforce and Achievers]. Who wouldn’t like the idea of being able to throw down a card and claim an extra day of PTO in exchange for a job well done? Offering employees a chance at adding a valuable day off to their calendar could help them to pull through on more difficult projects. Needless to say, the extra PTO should be subject to all pre-existing company policies on paid leave so business can continue without too much interruption. Not every conference is hosted at your city’s downtown hotel Ballroom C. If your employees attend conferences that require travel, make it an incentive. If the team reaches one benchmark, maybe you upgrade their airfare or hotel. Second benchmark, make them reservations at a restaurant and pick up the bill. You could even make attending the conference itself the incentive, if it’s not essential to attend but you know your employees will learn and grow. The above incentives have measurable impact on employee performance and engagement. But nothing impacts employee performance more than the prospect of a trip to an exotic destination with a partner. Studies have shown that the beneficial impact of a well-planned and executed incentive trip far exceeds its monetary costs in improved performance and ultimate profitability. While monetary rewards may motivate employees briefly, the prospects of an all-expenses-paid trip to a desirable destination along with an employee’s partner—or even family—will create a deep-rooted competitiveness to excel. Depending how an incentive trip is structured, it can not only enhance performance but also foster employee engagement. Some companies opt for monetary incentives for ease of administration. However, an incentive trip will likely have far more beneficial impact on the company’s bottom line if it is appropriately designed and implemented. GMS Global Management Services, Inc. is a boutique incentive agency and event planning company with offices throughout the US and Canada. We specialize in custom-tailored incentive programs that guarantee improved performance and profitability. Celebrating its centennial, Lions Clubs International gathered in Chicago for this important milestone. Lions Clubs International (LCI) is an international secular, non-political service organization founded by Melvin Jones in 1917. As of April 2015, it had over 46,000 local clubs and more than 1.4 million members in over 200 countries around the world. Headquartered in Oak Brook, Illinois (a suburb of Chicago), the organization aims to meet the needs of communities on a local and global scale. Lions Club German selected GMS to organize educational and popular tours of the Windy City for the diverse participants. With all that this beautiful city has to offer, Lions Club could not have picked a more fitting backdrop for its 100th anniversary celebrations. There were “lions,” some in colorful local dress of the country they represented, on every corner for the few days they got to spend in Chicago. Chicago and Chicagoans rolled the red carpet in every way possible. Weather could not have been nicer and Chicagoans were clearly proud to have an organization of this caliber in their midst. GMS was honored to have been selected to showcase the city to such a distinguished group of luminaries. GMS is looking forward to once again play host to the Lions next year when they head to Las Vegas. Who doesn’t love speeding down the highway for a grand road trip? Although it sounds like a dream for many, this actually happened for a select lucky few! GMS got the chance to drive through Eastern Canada in a Porsche—leading a group of fast-car enthusiasts, all behind the wheels of Porsche vehicles. This all to commemorate 150th anniversary of Canada’s confederation. With this tour, “it is a wonderful combination of culture, history, sightseeing, nature, and driving some of the best cars in the world!” Anna Seitz, one of our account managers, learned to the truth about these words, as she concluded leading such a distinguished group of car enthusiasts! Anna got to be in the driver’s seat for leading a tour for ten people during a 10-day period. Over 2,000 miles were driven to experience the wondrous landscapes and the historical city skylines. Although a little nerve wracking for Anna driving a luxury car for the first time, she soon got used to the car and began to enjoy herself just like the rest of the pros in the caravan. Each day was a day for exploration and excitement. Participants drove themselves in a brand-new luxury Porsche vehicle to discover gems throughout Eastern Canada. From Toronto to Halifax, they drove on winding roads without a care in the world. When the driving stopped for the day, guests got to spend their evenings in first-rate accommodations and ate dinners that reflect the mix of cultures that you can only find in The Great White North. For every day trip in each city, Anna and the participants got to see 19th century architecture while enjoying 21st century style and convenience. From spending a night in Drake Devonshire with staff setting up a fun prank for guests to eating at Sim’s Corner with exceptional oysters and steaks, such places beautifully balance the historical with the modern. Some of Anna’s favorite places on the trip were the Chateau Frontenac in Quebec City and driving on the famous Cabot Trail on Cape Benton Island. With these elements, 10 people started this journey as strangers, but they ended as likely friends for life. In celebration of Canada’s 150th anniversary, Porsche Canada is promoting a driving experience across Eastern Canada. Twenty lucky participants will get behind some of the most sought-after Porsche vehicles and drive from Toronto, ON, to Halifax, NS. The 10-day journey will cover some of most historic sites in Canadian history. For this once-in-a-lifetime experience, Porsche Canada selected Global Management Services from among many contenders to manage the logistics of the driving experience. For 10 days, 20 lucky participants will get to experience some of the most awe-inspiring scenery in every turn while behind the wheels of some of the most advanced engineering marvels. There is no better way to see some of Canada’s revered historic sites in this landmark year than onboard of an engineering masterpiece. Find out more here.